It's been noted that Denis Villeneuve has wanted to direct science-fiction for quite some time, but never found the right project to take on. Thank goodness he waited, as Villeneuve's first foray into the genre is a smart piece of science-fiction, the likes of which are rarely seen nowadays. The tale he spins takes less of an alien invasion approach, more focused on the drama of alien arrival. It's a refreshing opposite to a picture like Independence Day: Resurgence, proving even more gripping through its words as opposed to overblown action sequences. 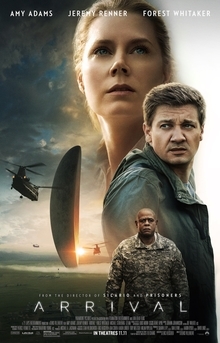 When twelve extraterrestrial spacecrafts arrive throughout Earth, linguist Louise Banks (Amy Adams) is hired by the military to lead a team. As mankind teeters on the edge of global war, the team is put against the clock to discover the reason behind the aliens appearance. There's never a worry of the focus being lost sight of, which is the importance of communication and understanding, an issue which remains timely in this day and age. It's plotted in a thoughtful manner, while brought to the screen in the most gripping of ways, helped by fantastic cinematography. Wisely, viewers share the experience of first sighting the alien spacecraft with our lead character. This allows us to share in her experience, as she first lays eyes on the breathtaking behemoth, considerably towering above. Helping to sell the moment is the haunting score, powerfully composed by Jóhann Jóhannsson. Delivering a powerful performance not easily forgotten, Amy Adams does a spectacular job leading the cast. Every expression of hers is superbly conveyed, right down to her eyes, where one can clearly see the loss and grief that's evident. It's worth mentioning that Jeremy Renner and Forest Whitaker do terrific work in their supporting roles. If there was any doubt about Denis Villeneuve helming Blade Runner 2049, this is the picture to alleviate any worries. 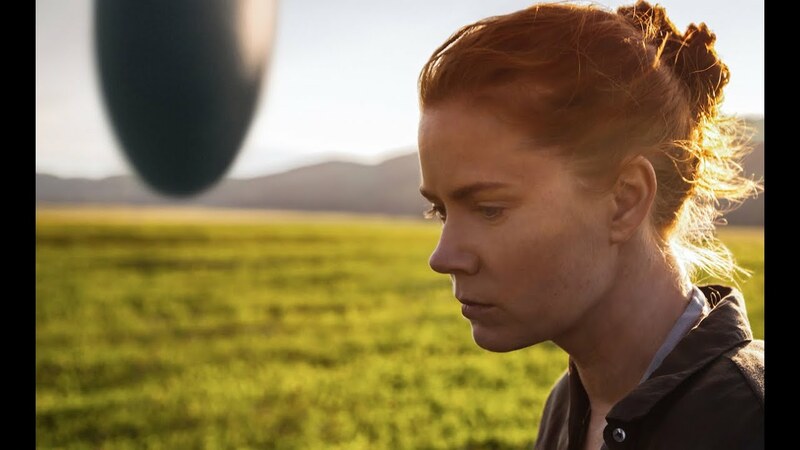 An intelligent and thoughtful piece of gripping science-fiction, the likes of which feels rare nowadays, Arrival is nothing short of an absolute masterpiece.